The new Analytics system, built by my team at Percolate, allows our end-users to program their own custom calculations, offering them the ability to precisely customize the product for their needs. At the center of that feature is a Pratt Parser. 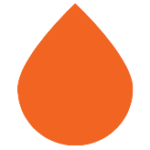 Percolate recently presented on this topic at the San Francisco Python Meetup. You can find the slides here, and code here.